Nathalie Virem: You were the chief marketing officer of Kodak from 2006 to 2010. Could Kodak have changed or done anything different to maintain its consumer brands? Jeffrey Hayzlett: A million things; but the most important thing always is around the culture of the company and how it’s run. You know, Kodak truly believed they were a film company, and when you get really down to it they were never a film company. They got so obsessed with that little role of film that went in that little yellow box, the most recognizable [box] in the world and developed a story around that. Myself included, I was part of that, right? So we all developed stories rather than sit back and say what is it we really do? Well, Kodak was in the emotional technology business. They were never in the film business. The real failure of the company was to recognize the real business they were in. Nathalie Virem: What is key to creating a marketing empire such as yours? Jeffrey Hayzlett: I think one of the biggest things that most people can be as an advisor is to serve others. So how can I serve you? Great companies, you know, Apple and so many others do a great job because they get what the customer’s about. They get about what they want to do to serve them. And so I look at it as a very servant mentality, how may I help you? If you give, you get, and so I’ve always been giving up my time that way, but with that comes trust, and I think where I’ve been able to build things over a period of time and over my career is that most people trust me. They trust my sincerity, my reliability, and they also trust my competency. I think those are the three key cornerstones of trust. Nathalie Virem: As a guest judge on NBC’s Celebrity’s Apprentice, what was your biggest takeaway? Jeffrey Hayzlett: I was a guest judge on Celebrity Apprentice for three years, I think it was like 9 different episodes over this time period and even on the finale of the very first season which I debated Gene Simmons live from the Saturday Night Live studio, kind of an interesting thing… One of the biggest things that I really learned from it was about right now: the present president [Donald Trump] is who he is. A lot of people are surprised that he’s president that he acts like this or acts like that. Well… he is who he is. The way he acted on the show is the way he acts as the president. I don’t think there’s anything that’s different about that. So that was one unique thing that I learned. Also, a lot of these celebrities work really hard, and that I really like. Trace Adkins became a good friend and Pierce Morgan who is probably one of the most obnoxious people in the world… I like Pierce, I like talking to Pierce, he’s a radically transparent person, even though I disagree with him on a lot of issues, I have great conversations with him and I like that discourse, so I learned a lot of great things about that. Nathalie Virem: Tell us a little more about your latest best-selling book, Think Big, Act Bigger? Jeffrey Hayzlett: I wrote about rewards of the relentless, because it is not the lucky who wins, it’s the relentless, day in and day out, you know? An idea without implementation is air. And so many times we see so many people fail because they have a plan, they have a team, but they don’t put it to action, and you see that with a lot of people. I’ve run into people all my life who’ve said: ”I invented that, but that guy took it and did it”. Or “I wrote that song”, or “I had that idea”. Well, but okay great, knock yourself out, wonderful, but you didn’t do anything with it, this person did, and even though they might not be smarter, they might not be as good looking, they might not be as, have as much money as you or whatever the good things or bad things in your life, they did it and you didn’t. Nathalie Virem: You’ve bought and sold over 250 businesses in your career for billions of dollars. Can you share with us one of your biggest victories? Jeffrey Hayzlett: Well, they’re all victories, I mean because you learn something from every one of them. Now, some of them have been real losers too, I mean I’ve lost money. You know, my greatest victory is always the one that I’m working on now. The reason is because I learned so much from the other ones that I can put it in place. I mean my activity at Kodak, buying and selling and helping to sell hundreds of printing operations in a year and a half or [???] years, buying and selling my own printing operation, buying and selling a cellular phone company, doing a public relations company, a couple of different times… All of those things are exciting, you know? I own a company today called Tall Grass PR which it stands for if you want to roam with the big dogs, you’ve got to learn to pee in the tall grass. Nathalie Virem: You’ve done everything from TV, books, and businesses. What’s next? 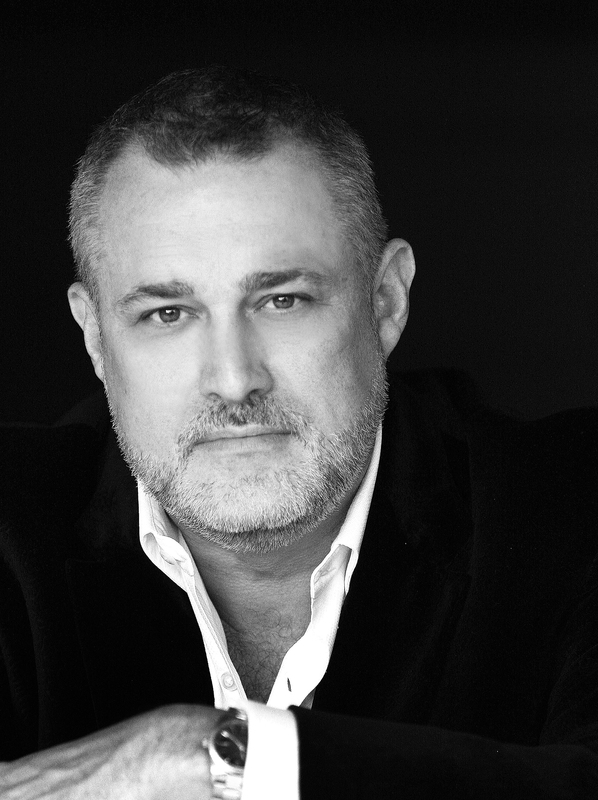 Jeffrey Hayzlett: Well, the biggest thing I’m working on right now is the C-Suite network. Part of it is a number of councils and groups that we work with, and particularly The Hero Club. I’m really excited about it. About a year ago, someone approached me about merging. They started The Hero Club and saw what we were doing with the C-Suite network where we’re creating the most trusted network of the most powerful people in the world. These are VPs and greater of companies of five million or more, they control 95% of the spend, and here we were: 500,000 members, C-Suite TV, C-Suite Radio, C-Suite Book Club, and we’re doing C-Suite Conferences and having all these great successes. They said, “can we do something together?”. So we purchased the group, and since that time period, we’ve grown it by about 400% and focused on creating hero CEOs and recognizing those making a difference in their communities. This interview has been edited and condensed for readability and length.